A late Eddie Allen Point sees Newmarket retain their JBHC title after extra time, with the scoreboard showing Newmarket 1-21, Meelin 3-14. The game was played September 2nd in Freemount. 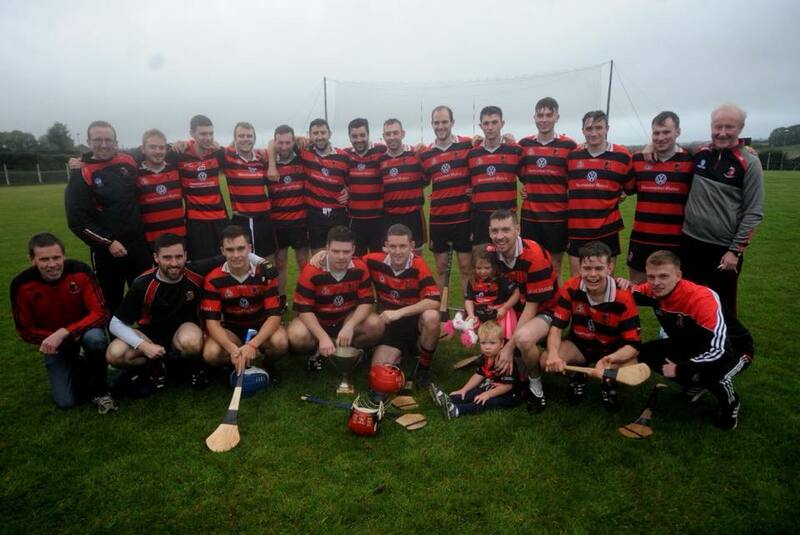 Newmarket captured the Duhallow Junior B Hurling Championship on Sunday last, 10th September, on a scoreline of 0-18 to 1-11 in Freemount against Kilbrin. 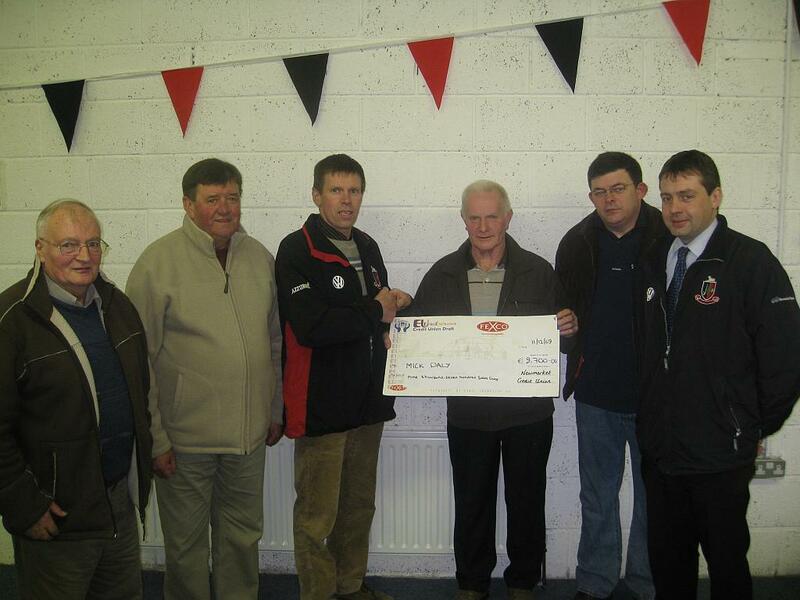 Newmarket captured the Duhallow Junior B Hurling Championship on Sunday last, 10th September, on a scoreline of 0-18 to 1-11 in Freemount against Kilbrin. Conditions were tough on the day with swirling winds and showers but the Freemount sod allowed for a good game of hurling in which both teams scored some fine points. It was Newmarket that got off to the perfect start when Shane Congo Murphy rifled over the opening point after five minutes. Jack Murphy followed this with a point of his own before Paul Verling struck two outstanding frees to give Newmarket a four point lead at the quarter mark. Kilbrin defeated Newmarket by 2-11 to 0-10 in the junior B hurling championship game played on a dreary and damp Saturday evening in Lismire. Newmarket made it two wins from two in the junior B hurling league when they recorded a narrow victory over Banteer by 1-12 to 1-8 at Newmarket on Wednesday evening. Newmarket got their junior B hurling league campaign off to a winning start following a fine victory over Freemount by 2-11 to 0-7 on a bright and sunny Wednesday evening in Newmarket. Two second half Millstreet goals proved critical as they defeated Newmarket in an entertaining Singleton Cup Final at sunny Castlemagner on Sunday afternoon by 2-12 to 0-15. Newmarket defeated near neighbours Meelin on a score line of 2-19 to 4-12 in the Duhallow Junior B Hurling Championship played in a very good Meelin surface on Saturday evening last in an exciting encounter after extra time. Newmarket were narrowly edged out by a single point, 3-8 to 2-10 in a home contest against Lismire in the junior B hurling league played at Newmarket on Monday evening. A goal in either half proved decisive as Banteer overcame Newmarket’s challenge by 2-10 to 0-10 in a well contested junior B league game played in Banteer on Wednesday evening. Newmarket were defeated by an impressive Kilbrin side in the junior B hurling league playoff game played at Kilbrin on Sunday evening where the home side emerged with a 2-16 to 1-7 victory. Newmarket bowed out of the Duhallow junior B hurling championship as Castlemagner swept into the semi finals with a resounding performance in the final twenty minutes ensuring a 3-16 to 0-9 victory at Kilbrin on Saturday evening. Newmarket defeated neighbours Lismire on 19/08/2011 in a perfect Freemount sod in the Junior B Hurling Championship first round on a score line of 3-9 to 0-12. Newmarket recorded their second victory of the week in the junior B hurling league with a well earned home win over Lismire by 1-9 to 0-8 at Newmarket on Friday evening. 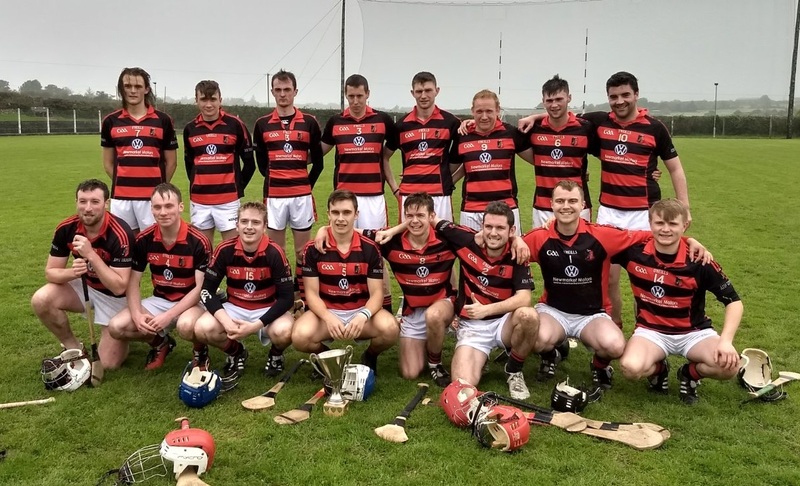 Newmarket withstood a very strong Castlemagner challenge to claim a 2-14 to 1-14 victory in an entertaining junior B hurling league contest played at Newmarket on Wednesday evening. 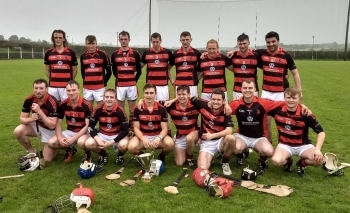 Newmarket had to endure defeat for a second successive year in the Duhallow Junior B Hurling League Final to Freemount by three points, 2-11 to 2-8 in an entertaining game played in ideal conditions at Meelin on Sunday morning. A strong second half display enabled Castlemagner to get past a gallant and spirited Newmarket side by 2-10 to 2-5 in the Duhallow Junior B Hurling Championship quarter final clash played at Millstreet on Sunday afternoon. Newmarket qualified for the semi final of the junior B hurling league after a well earned victory by 1-11 to 0-12 away to Kilbrin in a quarter final clash played on Sunday evening.